We're ready to welcome you! of arrival for select villa rentals. We're open 7 days/week in high season and will gladly help you with your reservation, organizing and planning your trip, or whatever else you might be looking for. We're always happy to help! Not sure which villa to rent? Submit a Quick Inquiry with your dates and travel needs and we'll recommend the perfect villa rental for you! Own your own piece of paradise! 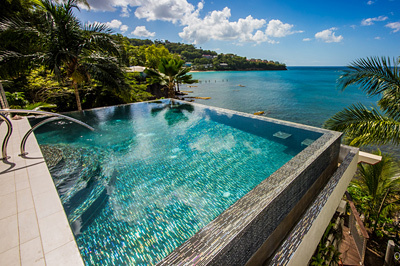 See all homes for sale in St. Lucia that we represent and rent; properties which we have direct and knowledgeable experience with renting. 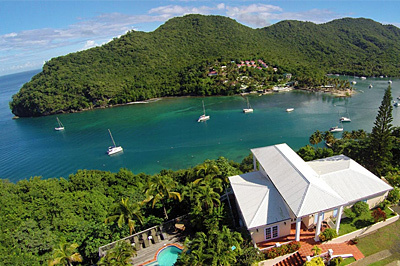 Oasis Marigot is a vacation community of 12 private sea houses, nestled into a mountainside overlooking St. Lucia's Marigot Bay, with direct access to the Caribbean Sea, palm-lined beach and marina. Learn more. 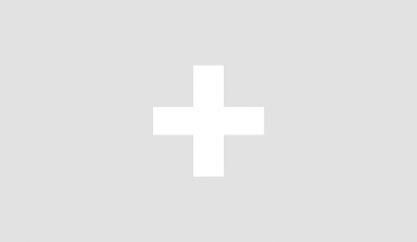 We help you with all the details! Can be added to your reservation upon booking online. 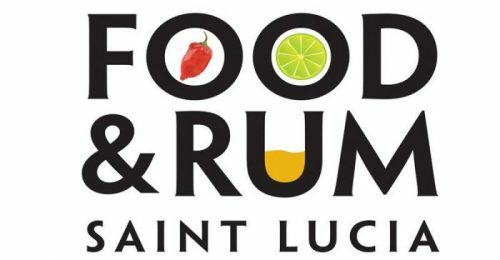 See the Pitons, Diamond Waterfall, botanical gardens, and more! Available for groups or private cruises just for a romantic couple! Fly through the jungle on a zipline! We'll organize it for you! From snorkeling to diving, hiking to golf to chocolate tours and more! Arrive to a fully stocked fridge! We’ll plan your special day! Take Part on an Incredible Caribbean Sailing Experience! 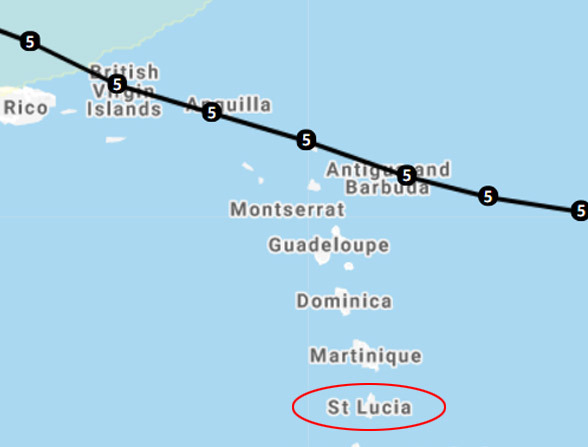 Was St Lucia Affected by Hurricane Irma and Maria? The Caribbean's best sailing vacations! Just looking for a little taste of the sea without overnighting on a boat? We offer a variety of exciting 'day-sail' options. 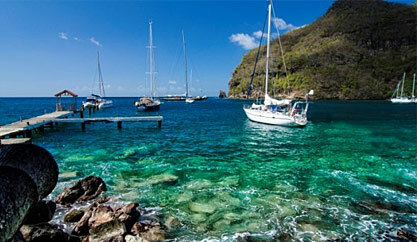 Set sail on our most popular charter itinerary, the Windward Islander, a week trip through the gems of The Grenadines. 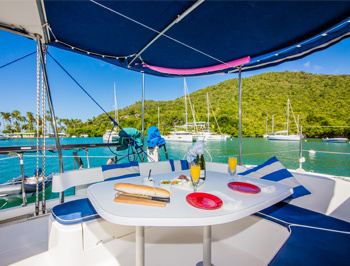 Embark on an unforgettably unique Caribbean sailing vacation aboard this all-inclusive catamaran. 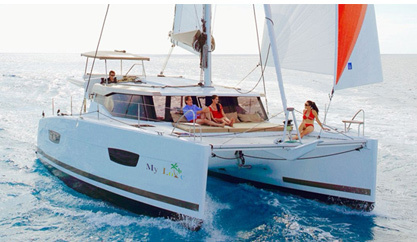 Yachts & Catamarans Choose your yacht & captain! 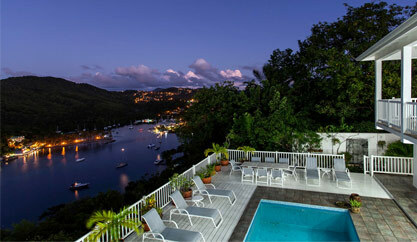 Welcome basket, sparkling wine, candlelit dinner in your villa, sunset cruise. Private dinner for two on the beach, with specialty menu and sparkling wine. 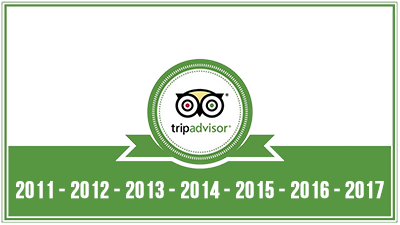 Includes our two most popular activities, the north and south say-sail tours. Ziplining, jungle biking, snorkeling, and your choice of another activity. A Relaxing and Fun Way to Explore Beautiful Marigot Bay! International Pony Club offers a fabulous sightseeing experience through pasturelands, along a natural forest trail to a most picturesque beach on the Atlantic coastline. The experienced guides are knowledgeable about St. Lucian wildlife and history, enriching the experience with informational tidbits. The trail has been cleverly designed to accommodate both beginners and experienced riders. Items can be rented individually by the hour or you can buy a week-pass for US $80/person or $150/couple. Instructional lessons for various water sports also available. These excursions cannot be booked ahead of time, but can be easily booked once you arrive on the island and call our Guest Services Office located in Marigot Bay. Ride & Swim, 2-hour ride. US $66.00: Regular Ride plus Swimming with the horses – Expert riders can choose a full 2 hours ride with a tour of the north of the island. Times: 8.30 am/ 10 am/ 2 pm/ 3 pm/ 4 pm. BBQ Ride, 4-hour ride. US$88.00: Same as the Ride & Swim Tour plus food and drinks and extra time on the beach. Time: From 10 am to 2 pm. Transportation: You can drive to the stable with your own vehicle or we will pick you with a taxi in front of the Marigot Bay Police Station. Taxi ride is $45 US per person for the round trip. Bring: long pants and closed shoes, and swimsuit if doing swimming. Wear: Camera and suntan lotion, and towel if doing swimming. Booking: bookings cannot be made in advance to your vacation, but can be made once you are on the island via our Guest Services Office. The local phone number and information on how to contact the Guest Services Office is provided once your reservation is made, but can also be found here. Stay in Touch, or Get to Know Us! Copyright 2019 - Oasis Marigot Island Villas.